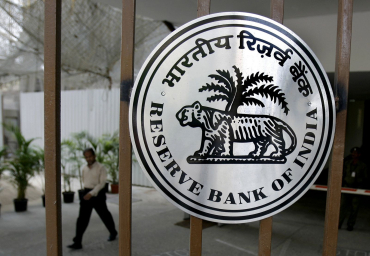 The Reserve Bank is looking into particulars of more than 34,000 firms allegedly running businesses on lines of Non-Banking Financial Companies (NBFC) without authorisation from the banking sector regulator, the government said on Tuesday. The list of these companies was shared by the Ministry of Corporate Affairs with the RBI. "The Ministry of Corporate Affairs sent a list of 34,754 companies having enabling clauses in their memorandum of association for undertaking NBFC like business, to identify companies which were carrying on the business in lines of NBFC without a license from RBI," Minister of State for Corporate Affairs Nirmala Sitharaman informed the Rajya Sabha in a written reply. "RBI has commenced the process to ascertain the facts from all the companies which appear to have unauthorisedly accepted public deposits," she added. Responding to a query on chit fund entities, Sitharaman said that promoters of such firms were found to be taking advantage of various norms after which an inter-ministerial (IMG) was constituted with representatives from the Ministry of Finance, Ministry of Corporate affairs, RBI and Securities and Exchange Board of India, "for better inter-agency coordination" on issues related to money pooling schemes. In this regard, she also said the Ministry of Corporate Affairs had taken various steps to protect small investors. These include investor awareness programmes, enhanced disclosure norms under the new companies law and enhancing the accountability as well as independence of auditors.